When you consider all the mesmerizing food, history, nightlife, food, natural beauty, and people (did we mention food?) that Europe has to offer, it's not like you need any special reason to book your next vacation there. 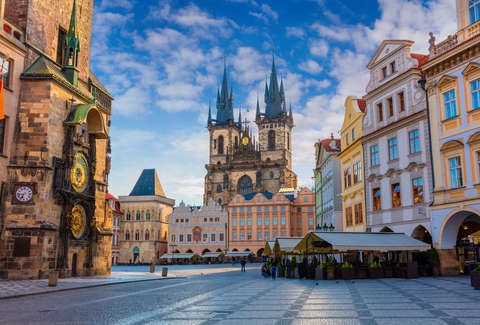 Still, if you've been holding out for a sign to pull the trigger on a big European getaway, this may be it, because flights to the 44-country continent are currently cheaper than they've been in years. Flight prices to Europe are officially the lowest they've been in three years, according to new research released by the airfare-tracking app Hopper, which monitors up to 30 billion fare price quotes daily and has amassed a trove of pricing trend data from the past several years. We'll wait here while you dust off your passport. In terms of just how affordable it is to snag a transatlantic flight right now, Hopper says round-trip tickets to Europe this spring are currently averaging $637, which is down 15% from the same time last year. The company also says that if you're looking to make a trip there during the warmer seasons, it pays to travel in the spring, because round-trip fares are roughly 20% cheaper than they are during the summer months. 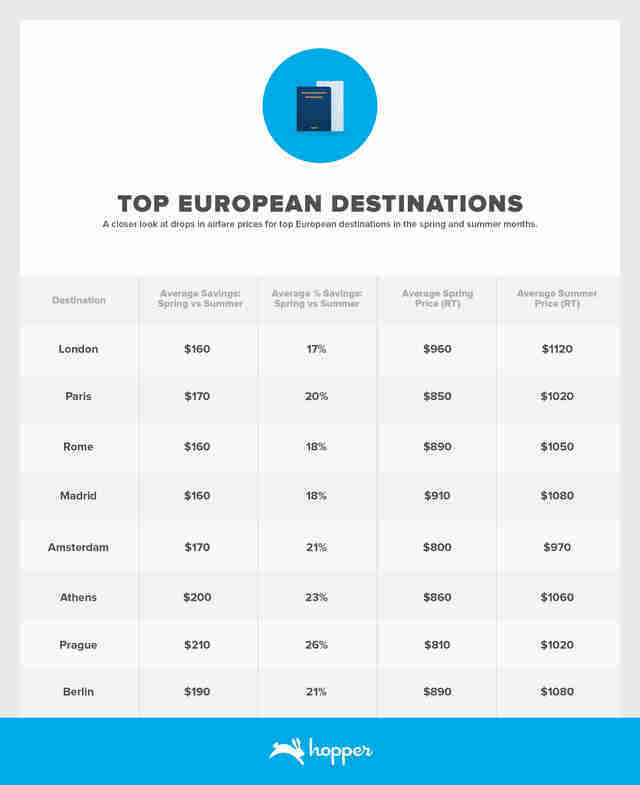 These are the latest average round-trip springtime fares to the most popular European destinations for tourists, according to Hopper. Of course, if you're flexible, plan far enough ahead. If you're willing to endure a layover, it's very likely you'd be able to book a flight to any of the above cities for much, much cheaper than the average price. While the fare trends indicate flights to Europe are dropping in price overall, Hopper points out that US travelers may find even better deals if they're heading to the UK. That's due in large part to the fact that round-trip flight prices have been dropping in the lead-up to Brexit, and the British pound's subsequent drop in value. Once Brexit (eventually) happens, it's likely prices will fall even further for US customers, particularly if the UK sees a drop in tourists from the European Union brought on by newly complex border crossing rules. Better yet, London was just named as the top travel destination of 2019. So, whether you're in the mood for a transatlantic excursion or a visit to the Hawaiian islands, it looks like 2019 may be the year to book an exceptionally budget-friendly long-haul trip.